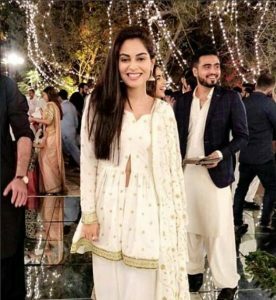 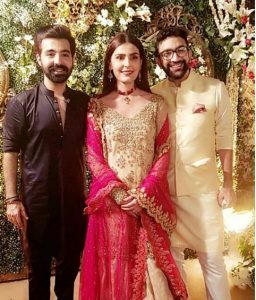 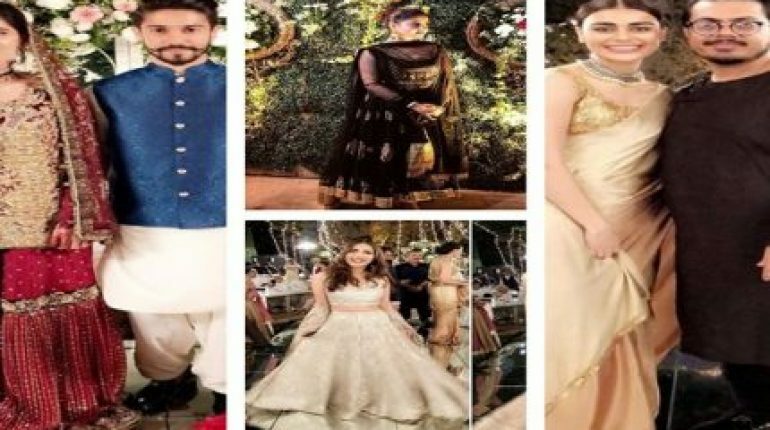 Celebrities At Sadia Ghaffar’s Sister’s Wedding Ceremony, Sadia Ghaffar’s sister Aqdus Ghaffar got Nikahfied just two three days ago in a very private and small ceremony with just close family. 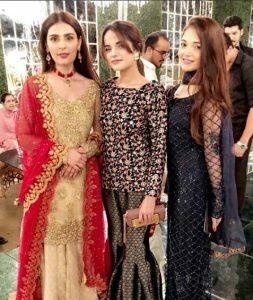 Sadia, on her Instagram account, shared how overwhelmed she was on the occasion. 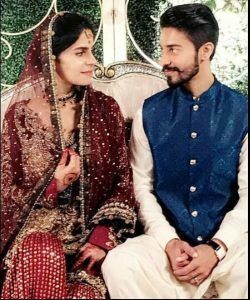 The wedding ceremony of Aqdus took place one day after her Nikah ceremony and turns out this time, it was not a private one. 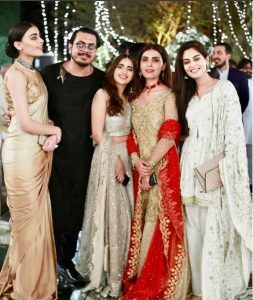 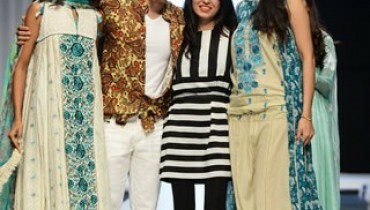 Many of Sadia’s celebrity friends were seen to have attended the wedding, including Sajal Ali, Saboor Ali, Sadaf Kanwal, Amar Khan and Rana Asif. 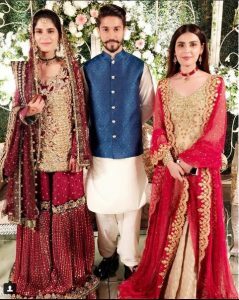 Aqdus Ghaffar undoubtedly made a stunning bride wearing the Famous Tabassum Mughal’s traditional Maroon outfit. 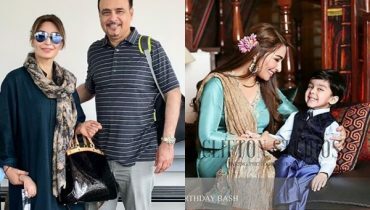 Here are few of the pictures of bride and groom along with Sadia Ghaffar. 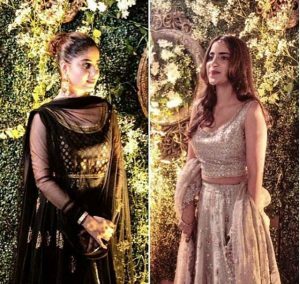 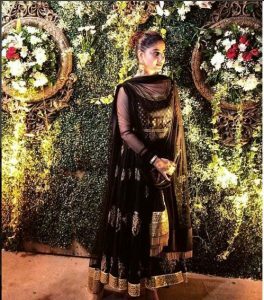 Sajal Ali and Saboor Ali look ravishing on the occasion, Sajal with a traditional attire complementing her beautiful personality and Saboor with a heavily embroided lehnga. 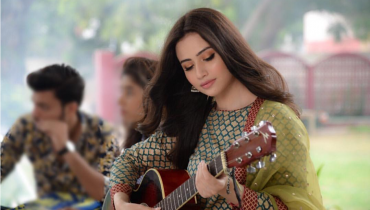 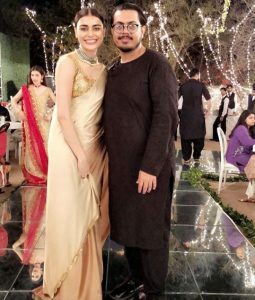 Sadaf Kanwal looks ethereal in her Saree while Amar Khan an upcoming name known for her serial Bela pur ki dayan is carrying a beautiful attire. 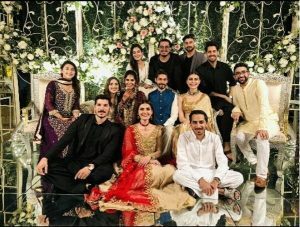 Here is the moment of bride and groom captured beautifully with friends and family. 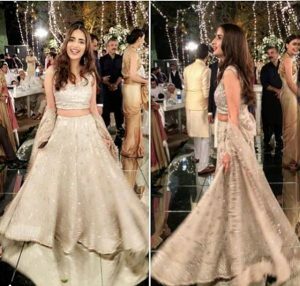 Here are few more pictures from the beautifully arranged wedding ceremony.